I'm not really sure if this series by bestselling Canadian author Alan Bradley is a YA series or not, but regardless it's a worthy read. I wouldn't call myself a huge "mystery novel" lover, but I think everyone enjoys a good mystery once in awhile and this story of a precocious 11 year old is pretty entertaining. Taking place in small town England, the story follows Flavia de Luce, a lonely girl with an obsession for chemistry who happens to live in a village that has a higher murder rate than most. When a visiting celebrity puppeteer is suddenly electrocuted, de Luce jumps onto the case, using her chemistry knowledge and astute observational skills to unravel the whodunit. The story gets really good as it is revealed that the puppeteer is not just anyone, but someone who has deep ties with others in the village. Things gets murkier and murkier as the murder begins to involve secret grow ops, affairs, ex-POWs (the series takes place just after WWII) and the hanging suicide of a young boy. Being a fan of Nancy Drew books as a child, this series was right up my alley and de Luce as a protagonist is like a cross of Nancy and Pippi Longstocking. She is spunky, irreverent and has a streak of maliciousness that only 11-year-olds can still get away with. As a spunky kid myself, I can relate. 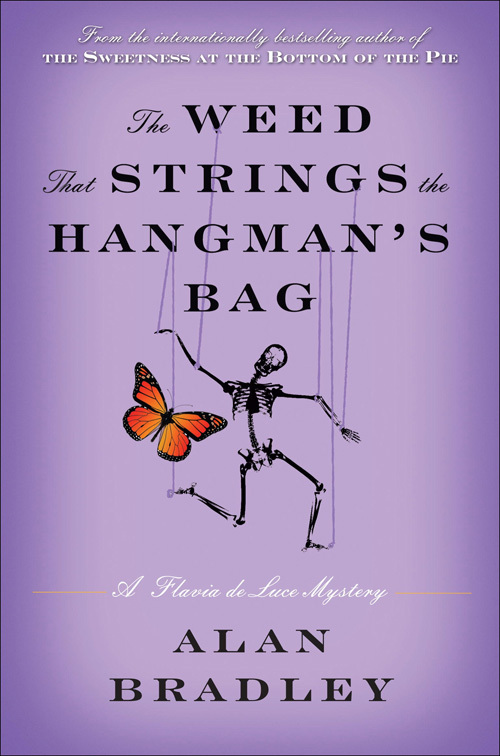 I believe The Weed that Strings the Hangman's Bag is the second in the Flavia de Luce series, but you don't need to have read the first one to follow along as each book is pretty self-contained. The first novel in the series, The Sweetness at the Bottom of the Pie is also a worth checking out! Just be careful if you're like me and read on the bus because these books will surely make you miss your stop.